Improving your grasp on personal financial is one of the most powerful things you can do for yourself at any age. Sound financial management frees more of your time and energy for improving your life in all areas. Get started with the best personal financial resources to make your life easier. Whether you need to get out of debt or track your growing income, there’s a program, app or free information just a click away. Mint ranks as one of the top finance programs for several reasons. It’s relatively easy to use, even if you’ve never tried any kind of budgeting software. It autopopulates your account information, meaning you don’t have to make individual entries. For anyone who has been using a spreadsheet online or keeping accounts offline in multiple registers or logs, Mint offers a major time savings. Its full suite of features mean you can trade in multiple ways of tracking and managing your money for one solution. Mint puts all your accounts in one place, simplifying the process of tracking and managing your money. With this all-in-one budgeting tool you have the power to set bill reminders, watch your spending and keep tabs on your credit cards, checking and savings balances from one program. This makes it an outstanding tool for people who need more organization and streamlining in their financial lives. YNAB sets itself apart by offering training to go along with its budgeting software. The principle behind the program is a sound one: it trains you to live on last month’s income. If you have difficulty meeting expenses month to month, are in debt, or see the prospect of debt looming, working with this program could solve your problems. With its training modules, you get ongoing help with difficulties so you can get your money on track. It’s easy to make adjustments in the budget, so it adapts with you when spending or income changes. The membership for YNAB costs $60. A free, no obligation trial period allows you to try out the software, receive training emails and have access to the website to see how it suits your needs. For anyone in debt or who needs to get a better grasp of money management, YNAB is a refreshing option. The layout is simple enough to give you the big picture on where you stand at a glance, yet offers customization so you can create categories that fit your life. With YNAB you learn to assess your financial standing before making decisions such as opting for a major expense or cutting back on spending categories that may be out of balance with your income. More than budgeting software, YNAB offers a money management boot camp to help people make better financial decisions. Kiplinger’s stands out with authoritative information on key personal finance topics. 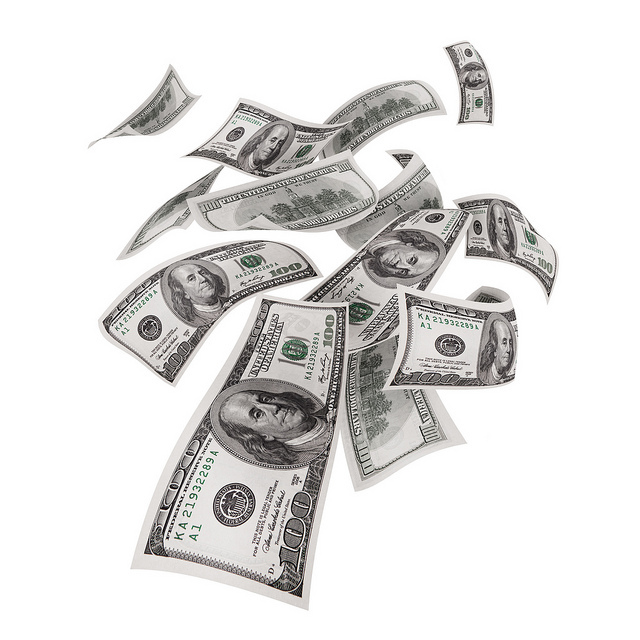 In addition to detailed articles that will improve your grasp of personal finance, you’ll learn about the larger world of money and how to make your money work for you. Here you can find advice and calculators for investment and retirement, and a handy link to FederalReserve.org. 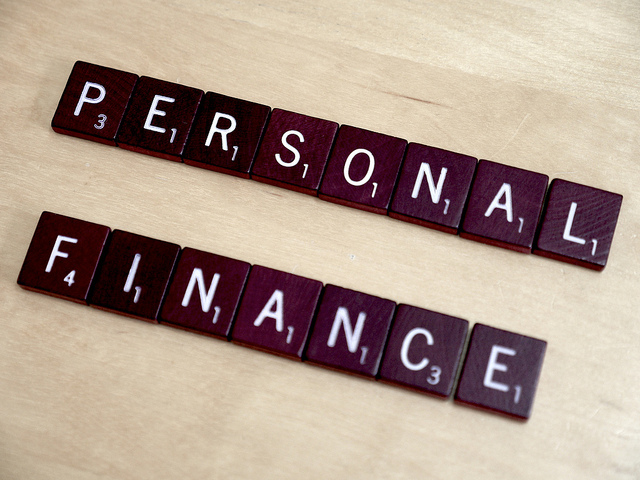 The government’s financial education site covers key areas of personal finance. From choosing a financial institution to managing a business, help yourself to free advise from the U.S. Federal Reserve. This entry was posted in Personal Finance and tagged personal finance, resources on January 21, 2015 by Peter D.
Did you read our blog post on personal finance New Years resolutions, think “But these are haaaaaard,” and then just ignore them? A lot of people think that balancing your checkbook only refers to keeping track of the checks that you write. Balancing your checkbook isn’t just about checks; it’s about keeping track of ALL of your financial transactions. In fact, the most difficult part of keeping this resolution is getting into the habit of writing everything down. The only way for balancing your checkbook to work correctly is if you’re accurately tracking everything. Then it’s just a simple matter of comparing your ledger against your bank statement. It’s a great way to check for any errors the bank may have made, and helps you keep yourself constantly up to date with your finances. 1. Have someone else at the table handle it, which puts you at their mercy, so you’re not going to do that. 3. Wing it. Just pick a number that feels right and put it down. Could be too much, could be too little. Don’t know, don’t care. The thing is, though, calculating the tip in your head is VERY easy. Here’s a breakdown. The simplest percentage to figure out is 10%. All you have to do is move the decimal point in the price one space to the left. So a 10% tip on a bill of $45.93 comes to $4.59. And if you want to tip 20%? Just move the decimal over one space and then double the result. Have terrible service? Move the decimal over and cut the result in half. Boom, 5%. Ah, taxes. The annual ritual that all Americans have the shared pleasure of completing before April 15. Here’s the thing: If you’re someone who has a family, or owns a business, or has some unique financial situation, then, yes, you may want to get a little help with your taxes. On the other hand, if you’re single and just have your basic 9-5 job, your taxes aren’t going to be that complicated. You can easily complete them on your own with the help of a free federal filing service like TurboTax, which also has the option to file your state taxes for a small fee. However, if you feel like doing the whole thing for free, use Turbo Tax for your federal return, and then a government filing service for your state return. A little Googling should help you find your state’s service. The only issue with doing it that way is that you basically have to input everything twice. It can be a bit of a pain, but that’s more money for you in the end. This entry was posted in Personal Finance on January 19, 2015 by Peter D.
Nobody likes to think about doing their taxes. Many people find it an unpleasant experience best dealt with at the last minute. This approach may provide a few months of avoidance pleasure, but could cause problems. It’s important for people to realize there are benefits to doing your taxes early. Waiting until the last possible moment to file taxes can be stressful. This stress can be avoided by doing taxes early. All the proper forms can easily be obtained further away from the filing deadline. When done early, there is no shortage of tax forms. People who prepare taxes are not yet stressed by doing last-minute returns for clients. Doing taxes early provides extra time to review them and detect any problems. If a mistake is found, it can be easily corrected prior to the filing deadline. Doing taxes correctly can avoid a lot of unwanted stress. The penalty for filing taxes late with the IRS is usually 5 percent of the unpaid taxes for each month or portion of a month the tax return is late. This penalty starts and begins to increase the day after tax returns are due. It usually isn’t more than 25 percent of the unpaid taxes. If a person files their return but does not pay their taxes owed by the deadline, they can face a failure-to-pay penalty. This amount to ½ of 1 percent of the unpaid tax balance. When a person does their taxes early, they may find that they owe the government a certain amount of money. In some cases, a person may need to arrange for payment. Doing taxes early will enable a person to make the right payment amount. Depending on when they’re done, a person will have the necessary time to prepare to meet their tax obligation. The sooner a person files their taxes, the quicker they get their refund. Waiting until the last minute may make a refund not available until summer. There are many people who file their taxes late. When this is done, the time to process the tax refunds takes more time. The IRS is usually overwhelmed with processing tax returns by the end of the tax filing season. This means issuing tax refunds take a longer time. Most people don’t realize there is a high rate of identity theft that occurs during the tax refund season. One of the best ways to avoid this problem is to file taxes early. This decreases the opportunity for someone to file a tax return in another person’s name. When this does happen, the IRS will notify the person who filed their taxes earlier that another return has been filed in their name. The IRS says that over 70 percent of taxpayers in the United States file their tax returns electronically. This means that approximately 30 percent of tax paying citizens are using the U.S. Post Office to mail their tax returns. Some people mail their tax returns out of habit, others by design, and some because their circumstances require it. 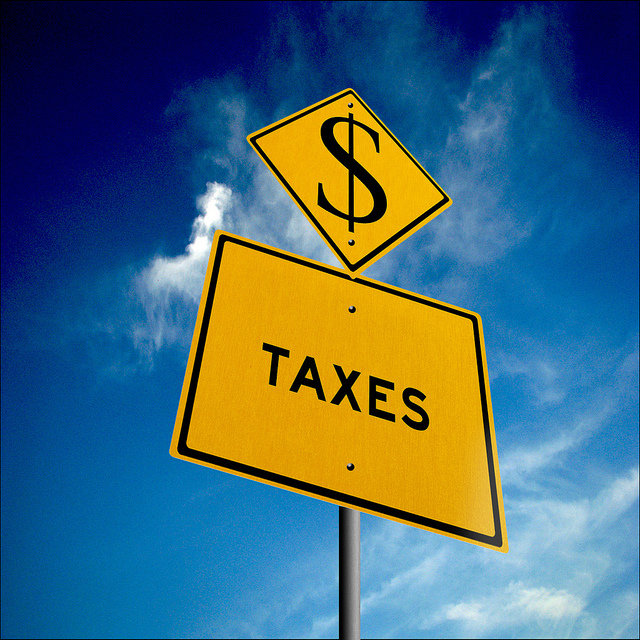 There are taxpayers who mistakenly believe paper tax filing decreases their chances of being audited. Waiting until the last minute to mail a tax return could lead to a number of unexpected problems such as crowds, traffic, closing times and more. There are times when employers make mistakes. Companies have been known to make mistakes when they report their employee’s wages to the tax authorities. If a person files their tax return based on incorrect information, they will have to refile an amended return with the correct information. When a tax return is filed early, a mistake like this can also be addressed and corrected early. This entry was posted in Personal Finance, Taxes and tagged personal finance, tax prepration, taxes on January 14, 2015 by Peter D.
Our financial lives can always use an overhaul, and what better time than in the new year to refresh what’s become stale and unprofitable? Rethinking how we manage our finances for a new year is one of those things that is worth our time and exploration. All sorts of good things can come from a personal finance reboot, so to speak. One good way to start to rethink your finances is to take note of how you spend your money. Learn how to take small financial steps that lead to big gains. Jot down, in a notepad, every penny that you spend on everything from the essentials to entertainment. Being aware of where your money goes is much like a dieter looking at the scale to assess the weight they are losing. The only difference is that if you make adjustments to your frivolous ways of spending, your money will grow and you have everything to gain from that. So for the New Year, a strong resolution is: gain money, not weight. No matter how dreaded the task may seem, learn to set specific financial goals such as contributing X amount to an emergency fund. This is a practice that pays off in the event of unforeseen expenditures. Those who start the year setting measurable savings amounts for the coming months tend to repeat this smart practice each year and end up better off financially than those who don’t. Resolve to set financial goals that are attainable and measurable, so you can protect yourself from financial storms. You can automatically set aside a percentage of your income, and this is a good way to contribute to any savings towards a home or car, retirement, 401(k), or college fund. Make it a habit to pull ten percent of your income out and pay yourself just like you would any bill. With discipline, your financial future may look brighter before you know it. So here’s a resolution: set up an automatic withdrawal from your bank account to an investment account. You will pay yourself automatically, and you probably won’t even notice that the money has left your bank account. With the onset of mobile banking and the use of apps, one suggestion is that you switch to a financial institution that provides optimum services and tools for your personal financing. The new year could be a prime time to do so. If finding a bank that offers online personal financial management (PFM) tools helps you budget wisely and learn how to make your money work better for you, then that could be a New Year’s resolution worth looking into. More important than any single financial New Year’s resolution is the commitment to taking charge of your finances. Whatever resolution you make will be better than ignoring your finances altogether. Once you get in the habit of paying attention to how you use your money, you may find that you actually enjoy managing finances, rather than dreading it. An easy way to get started is to write down three improvements you’d like to see in your finances, such as income, savings, paying bills on time, and so forth. Then think about the specific steps you would have to take to make those things happen. Before you know it, you’ll be way ahead of the financial game. 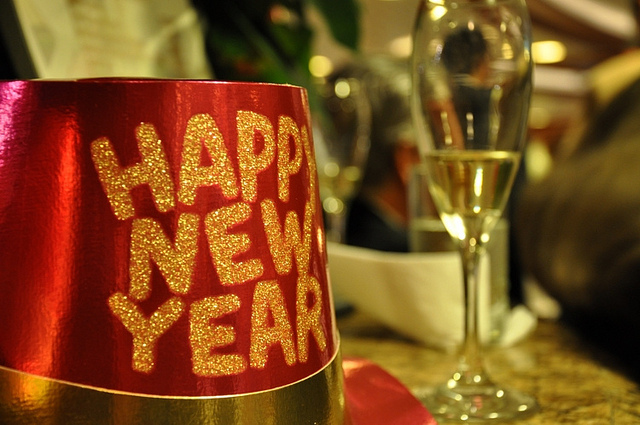 At the end of next year, you’ll look back and congratulate yourself for making New Year’s resolutions that are practical and can shape your future. This entry was posted in Personal Checks, Personal Finance and tagged personal finance on January 7, 2015 by Peter D.